Home Politics President Biya As A Political Maradona :Can His Juggling Appease Disgruntled Anglophones? 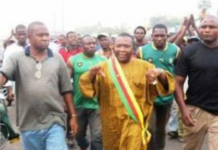 President Biya As A Political Maradona :Can His Juggling Appease Disgruntled Anglophones? 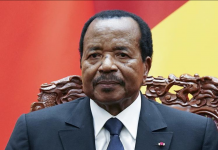 In the midst of heavy tension caused by the Anglophone crisis, Cameroon’s president Paul Biya has made some ministerial appointments to key positions in the country. 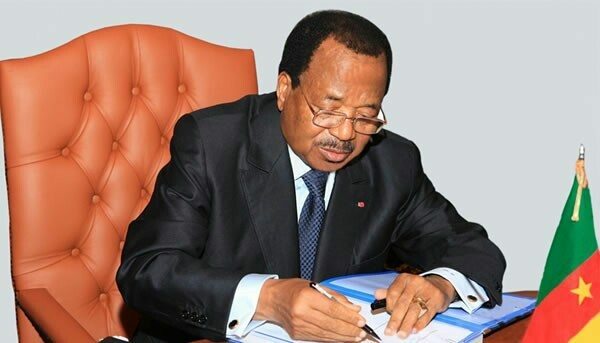 These appointments surprised Cameroonians as those who media had speculated to receive sack letters based on their performance or scandals in previous office sessions were either maintained or promoted. 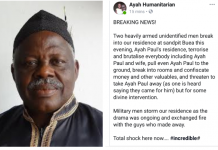 President Paul Biya has indeed displayed his ability to juggle in the Cameroon political milieu and has refused to allow Cameroonians predict his next move. 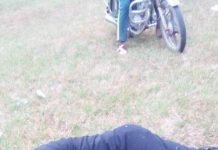 The late Friday, March 2 appointments has been seen as a bait especially at trying moments when the nation is faced with the effects of the Anglophone struggle which began in October 2016. These appointments remain of prime importance as it comes like appeasement to the Anglophones. In the appointments, Nalova Lyonga was made new MINSEC boss while Laurant Esso, Issa Tchiroma and Charles Ndongo were maintained. From an analytical standpoint, Biya is playing the Maradona on the Cameroon political landscape. This is particularly surprising as most of his appointments would come after elections but this was different. Was this a planned appeasement? Over two years into the Anglophone struggle, 85 year old Biya’s reshuffle seems to be a beckon to the wrong people and a scare to the right ones. First, the fact that a cabinet reshuffle comes at this time makes many wonder. Former Vice Chancellor of the University of Buea, Dr. Nalova Lyonga was appointed as minister of Secondary education. The former VC who went on retirement less than a year ago was recently made Board Chair of the Douala General Hospital and then minister, first ever Anglophone boss at MINSEC. Cameroonians wonder if she would deliver as minister based on her records in UB especially after a harsh crackdown of student protest on campus in late November 2016 which showed a lack of respect for the people’s right to peaceful protest on international scene. Paul Atanga Nji, former minister of Special Duties at the Presidency was made minister of Territorial Administration, exchanging his position with Rene Emmanuel Sadi. Anglophones accuse Atanga Nji for being the first government official to publicly deny the existence of any Anglophone problem while on Cameroon state media, CRTV. 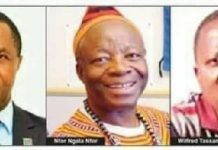 By appointing Nalova Lyonga and Paul Atanga Nji, Anglophones now have two ministers with portfolios, yet, many say they make the worst choices for Anglophones if Biya was bent on appeasing them. Cameroonians also wonder how the ministry of finance, a key ministry would be headed by Louis Paul Motaze while Alamine Ousman moves to the ministry of planning and regional development. This brings more puzzle on the President’s judgment on who to handle these key positions. Political minds have analyzed Biya’s surprise cabinet reshuffle as a careful and well-tailored prank to appease the striking Anglophones. 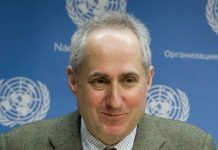 They back their claim in his appointment of two Anglophones with portfolios and the appointment of Paul Tasong, Secretary of state at the Ministry of Defence In Charge of National Gendarmerie who becomes first Lebialem minister since the 1960s. Join thousands who read and trust ARREYB News Reports daily. Next articleThe Inside Story: How Nigerian Government Helps The Boko Haram Grow!